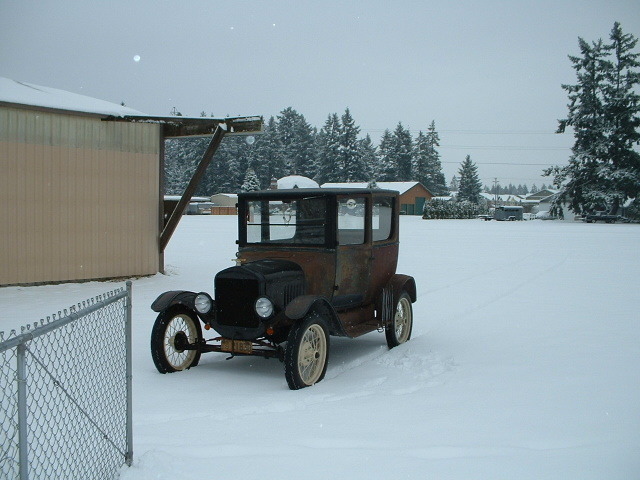 These old rigs work good in the snow. And you're on a more even field with everybody else. Bob, Thanks for the chuckle, I can see how it would level the playing field out with the moderns. I remember a heavy snowstorm here four or five years ago. As I drove a stretch of I-64, every single vehicle that had gone into a ditch was an SUV. Overconfidence. Paul - We've got a lot of folks out here in the Pacific Northwest that can't handle snow or ice either! I have to be fair and not call them "dumb bunnies", because we get so little snow and ice (usually) around Seattle/Tacoma/Portland, that people just can't handle it; they just don't know for instance that when stuck in the snow, once the drive wheels break loose and begin to spin, you're done. So many people here think that if you floor the accelerator pedal and spin the wheels much faster, it might work! Seems like almost nobody out here realizes that if you can "rock" the car, and be easy enough on the gas to PREVENT the wheels from breaking loose, you can almost always succeed!